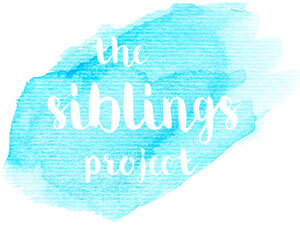 This month I am running a little lot later than usual with our Siblings Project. I love doing this post. In the moments when D and S are really getting along, being adorable and building up their little relationship it's easy to watch and forget about them for a while. They have so many moments that sometimes I can lose sight of the little things. Writing our Siblings post always reminds of great little moments from the month when it's just the two of them together. I love watching as D and S start to change their relationship when their abilities grow. This last month S has changed so much and gained the freedom of movement when it comes to walking. D has taken her walking and pretty much ran with it, literally! If they really want to sit an play together with a toy or two D will help her up and hold her hands to help her walk along on the wooden floor in socks. They sit down and have a little play after and this was the moment just after they had done it for the first time. As the weather has been so beautiful we've spent a good bit of this month outside enjoying all the rays we can catch. Usually we head to a park and they both play. I have found that they are playing mostly separate on different equipment which is suited to their individual ages. I do feel that we need to incorporate more things they can do together as well as games we can all play. One of those is bubbles. Who doesn't love bubbles? Both D and S adore popping bubbles and D is just starting to do bubbles himself which is a perfect combination. The final photo from this month is from a very recent evening out for a walk where we found some ducks, ducklings and swans. The whole time we had been here D and S just watched, played and talked to each other all about the ducks and water. We had been prying them away well after bedtime! We are in the last few days of school now and I am really looking forward to all the fun and adventures that the summer will hold for D and S and what their little moments will include!